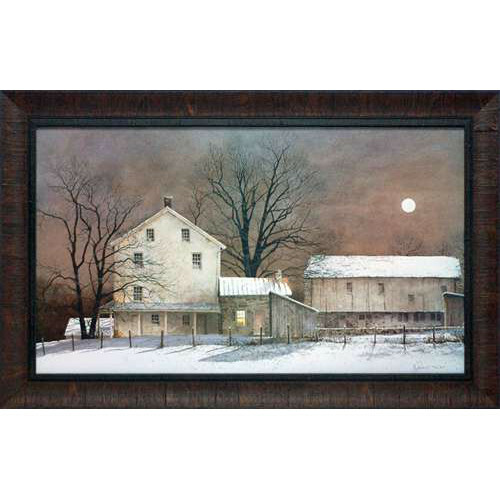 Full Moon by artist Ray Hendershot features an old farming homestead, old stone house, wooden outbuildings, painted white. Trees are bare, ground is snow covered and the evening sky is cloudy after the sunset. A big full moon has risen and is making it&apos;s way across the landscape, casting shadows and brightness. A great wholesale framed art print for any country rustic primitive lodge cabin style of interior decor.